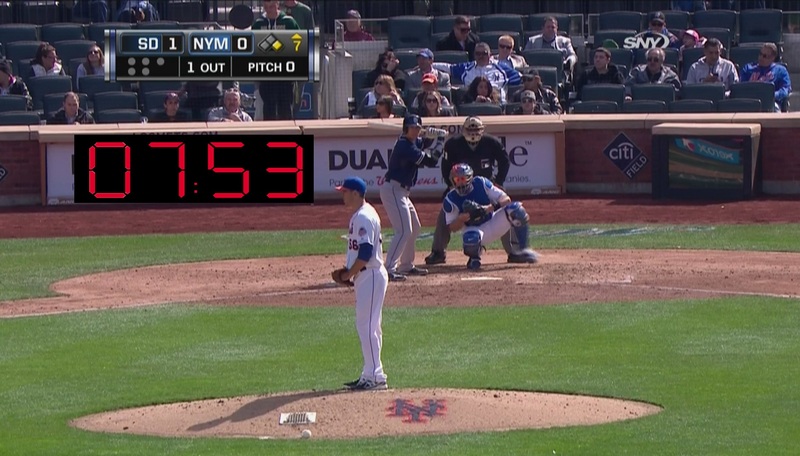 NEW YORK, NY—In order to shorten game length and appeal to fans’ demands for more action, Major League Baseball introduced 8 minute pitch clocks. “By limiting pitchers to only 8 minutes between pitches, games will be significantly shorter and drastically more exciting,” said MLB commissioner Bud Selig, who informed the assembled press that violating the pitch clock will result in a walk. Sources confirmed that the decision to institute the 480 second pitch clock was made in response to the many fans who have gravitated towards faster paced games like football, hockey, and golf. While some fans are looking forward to the higher intensity baseball games, many players are coming out as against the move, including Yankees pitcher CC Sabathia, who feels his pre-pitch ritual will be unnecessarily hastened. “There’s no way I can shake off three calls from my catcher, unsuccessfully throw the runner out at first base twice, and have a meeting on the mound with my manager in only 8 minutes,” said Sabathia, who added that 100 pitches per game with only 8 minutes rest in between could result in undue physical stress. Reportedly, MLB officials are also considering limiting managers to 25 pitching changes and batters to 50 practice swings.